The BCCI named the Indian cricket team squad for ICC Cricket World Cup 2019 on Monday, ending weeks long speculations as to who will make it to the team and who won't. Well, we now know the squad. And there have been few surprise inclusions and exclusions in the team. Twitter went berserk as soon as the Indian cricket team for the CWC19- ICC Cricket World Cup 2019 was announced. 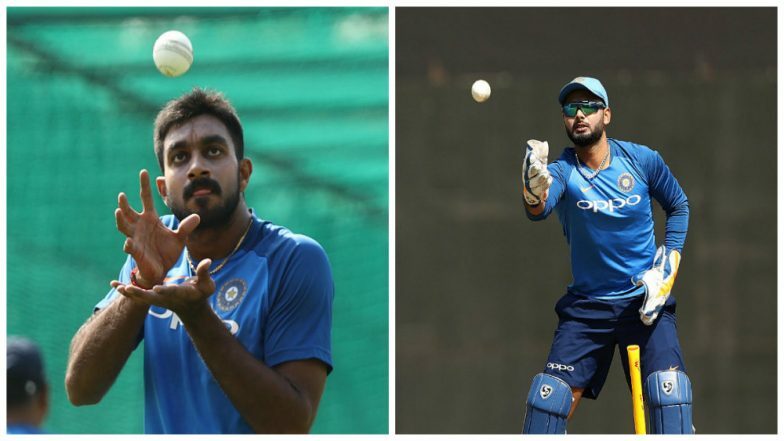 India Team for ICC Cricket World Cup 2019 Announcement Live News Updates: Dinesh Karthik Included, No Place for Ambati Rayudu and Rishabh Pant. Virat Kohli has been named the Captain, and Rohit Sharma as Vice-Captain of the team. Vijay Shankar has made it to the squad and so has Dinesh Karthik. However, Rishabh Pant's exclusion from the squad has people talking on Twitter. Ravindra Jadeja Included in Team India for ICC Cricket World Cup 2019, Check Full 15-Man Squad. Thakyou BCCI for including @DineshKarthik in Worldcup squad. These duo can chase any target. •Are you happy for DK? India’s squad for the ICC CWC19 announced: Virat Kohli (Capt), Rohit Sharma (vc), Shikhar Dhawan, KL Rahul, Vijay Shankar, MSD (wk), Kedar Jadhav, Dinesh Karthik, Yuzvendra Chahal, Kuldeep Yadav, Bhuvneshwar Kumar, Jasprit Bumrah, Hardik Pandya, Ravindra Jadeja, Mohd Shami. The Cricket World Cup starts from May 30 and the final will be played on July 14, 2019 at the Mecca of Cricket, Lord's Cricket Ground.